How much does tax avoidance damage the public good? Even more than you think. A string of revelations about tax avoidance have made headlines in recent months, from the Panama Papers, to KPMG Canada’s tax shelter business, to a local incident involving a UBC Board member who resigned after losing a tax avoidance case in BC Supreme Court. These revelations have fuelled a mix of outrage and cynicism about pervasive tax avoidance by some of the wealthiest few from around the world — schemes that shelter billions of dollars from taxation. Meanwhile, in British Columbia and many other places, people are facing a range of urgent problems, including skyrocketing housing costs, aging infrastructure, runaway inequality, high rates of poverty, and climate change. Investment in the public sphere is needed more than ever if we’re going to tackle these problems. Yet many citizens are understandably skeptical about supporting a tax system that lets the wealthiest off the hook for their fair share. So how can we rebuild our broken tax system and make sure everyone pitches in to solve the problems facing us in BC? There’s a surprising amount to be learned from a lab experiment called the “public goods game,” long used by economists to study behaviour relating to shared pools of funds. Here’s how it works: the game begins with each person in the group given a share of cash. In each round, players can choose whether or not to contribute to the public pot. At the end of each round, the amount of money in the public pot is doubled, and the whole thing is divided evenly among all the players — the bigger the public pool of funds, the bigger the individual payoff. If all players act like tax avoiders, then there’s no public investment at all, and no extra payoff. Everyone’s worse off than if they had all cooperated and chipped in. Interestingly, this almost never happens in the lab. Players understand that their well-being is connected to everyone else’s. As a result, most people pitch in to the public pot. Tax avoidance poisons the well, and undermines people’s trust in the shared task of making society better — and richer — for all. But how much cooperation we actually see depends on the group and the norms they work out. If tax avoiders take advantage and aren’t reined in, people cooperate less and less. On the other hand, when a group cultivates and protects a sense of fairness, they can build a lasting pattern of cooperation and investment. Incidentally, players often show real frustration with the tax avoiders. Avoiders are disliked so much that other players, if given the option, frequently choose to deal out a “penalty” to a tax avoider — even when they have to pay a large individual “enforcement cost” to do so. Not surprisingly, having this “penalty” option in the game discourages avoiders, making it easier for groups to establish a cooperative arrangement. There’s a key lesson here that applies to taxes in the real world: tax avoidance and a lack of proper penalties when people have broken the rules can undermine our willingness to invest in the public good. Tax avoidance poisons the well, and undermines people’s trust in the shared task of making society better — and richer — for all. 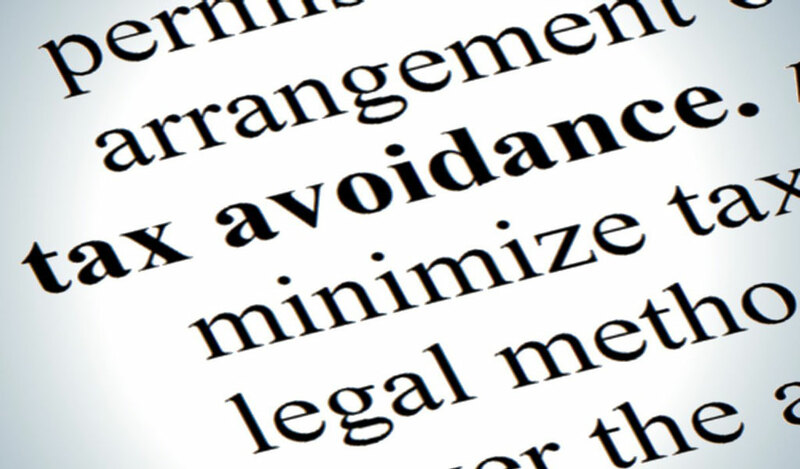 Unfortunately, avoidance is not the only unfair aspect of our tax system. In British Columbia, we’ve also seen a major regressive shift in the tax base over the past 15 years. Meaning, a move away from a system where those at the higher end of the income ladder pay a larger share of their income than those in the middle or at the bottom. In fact, today the top 1% actually pay a lower overall tax rate than the vast majority of the population. How did this happen? In part through cuts to provincial income tax rates that delivered the biggest bang to the richest British Columbians. A household in the top 1% pays a striking $40,000 less in income tax today than they did in 2001. Meanwhile, regressive taxes have gone up steeply — including MSP premiums and user fees on public services. These hit people with lower and middle incomes hardest — after all, it’s a lot easier to pay $75/month in MSP charges if you make $400,000 a year than if you make $40,000. In fact, BC now collects about the same in MSP premiums as it does in corporate income taxes. Even under these circumstances, an Environics survey for the CCPA found that a majority of British Columbians are still willing to pay more income tax in order to fund a range of major social and environmental investments, like more home and community-based health care services for seniors and a $10/day child care program. But when the fairness of the system is blatantly undermined by a wealthy minority, it’s understandable that many of us are skeptical about footing even more of the bill. So, how do we make the system fair and kick-start renewed public investment in British Columbia? The critical first step is for BC and federal policymakers to immediately raise tax rates for the richest British Columbians and corporations, and crack down on tax avoidance and evasion. That means not cutting amnesty deals with big time tax avoiders, like Canada Revenue Agency has been doing (even as revelations emerged about cozy ties between CRA and tax consultancies like KPMG). As Canadians for Tax Fairness argues, “economic substance” requirements could also be added to Canadian tax law – meaning that any legitimate use of offshore accounts would have to be tied to actual, tangible economic activity, rather than simply used as part of a financial shell game. In addition, of course, there’s a need to have far more resources devoted to enforcement against large avoiders and evaders. But such reforms aren’t the end of the game. We need a bigger conversation about taxes in British Columbia, which could take the form of a comprehensive Fair Tax Commission. Facing a range of urgent challenges, we should move quickly to create a fairer tax system, strengthen the public sphere and build a better future for BC. An earlier version of this article appeared on rabble.ca.